Just like the GPS in your car or on your phone, we all have our own internal GPS that will guide us to where we're supposed to go in ife. Your internal GPS serves a similar purpose to the other GPS, but the letters all have different meaning. Your internal GPS represents your Gifts, your Passions, and your Service. These three indicators combine to guide you to your Purpose! 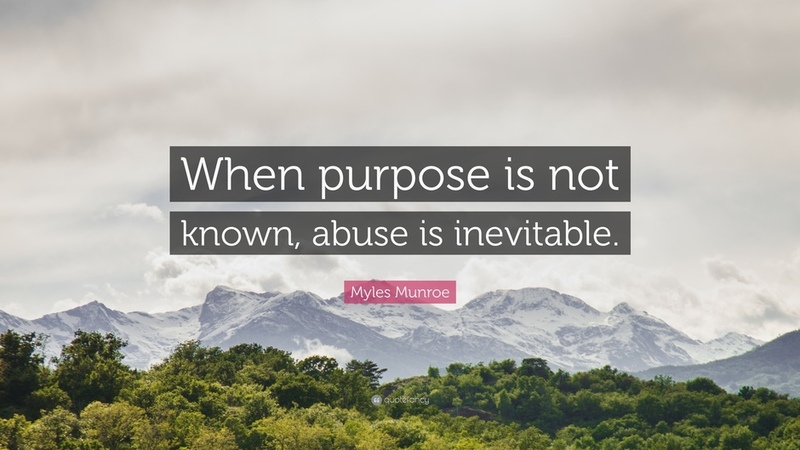 International Speaker and Leadership Expert Myles Munroe once said that when you don't know the purpose of something, abuse is inevitable. My experience has taught me that this is as true for our very lives as anything else. The best way to avoid abusing our time, our talents, and our treasures in life is to discover our purpose in life and to start Living On-Purpose!